Opened in 2009 Central Festival Pattaya beach is the city’s largest shopping mall boasting some 200,000m2 plus of luxury retail space. 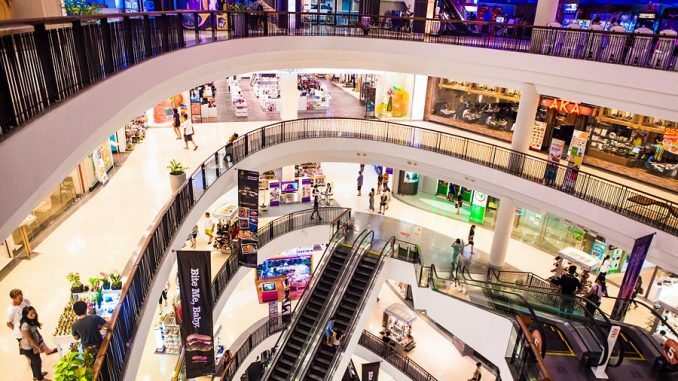 This super sized western style shopping mall is a favorite of Hi-So locals and expats looking to indulge in a little retail therapy. 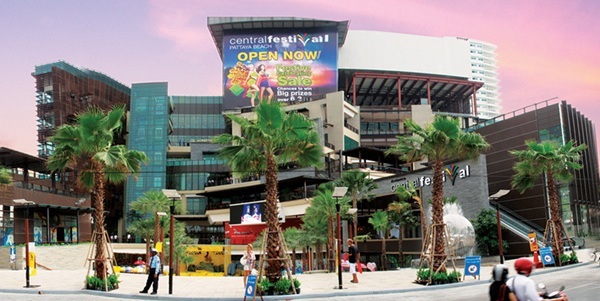 Central festival occupies an entire block of beach front real estate, adjacent to Pattaya soi 9 and stretches from beach road right the way back to second road, making it easily the largest shopping mall in the city. Inside the air condition super mall, there are over 350 internationally renowned retailers spread across 7 well designed floors. The mall is the perfect place for those looking to splash a little cash on some designer clothing, high end electrical items or top notch home wares. 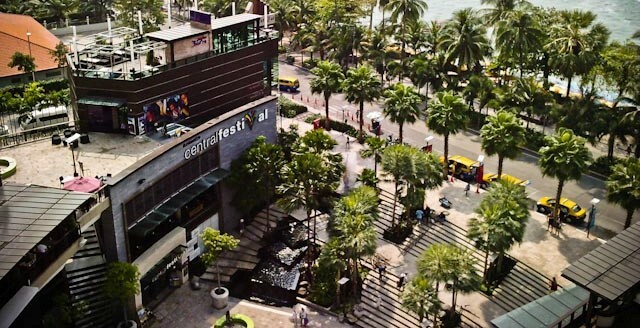 Central festival is also home to the 5 star Hilton hotel Pattaya, a multiplex cinema, bowling alley and children’s arcade. Top brands that can be found inside the mall include H&M, Zara, Victoria’s secret, Esprit, Zara, Calvin Klein and Hugo Boss. As well as the designer clothing and high end goods, the mall boasts one of the best food courts found anywhere on the Eastern Seaboard. The entire second road end of the basement is dedicated to food, here you will not only find the usual mall franchises such as KFC and burger bars, but foods from across the globe, and of course a huge Thai section. The food court is a favourite option amongst groups who all want something different to eat. The mall has been cleverly designed that unless you are very familiar with its layout you are automatically paraded past retailer after retailer as you try to get from one section to another. It is not unconceivable that you could easily lose a few hours and more than a few baht in here. The beach road end of the basement has recently (2013) been turned into a sort of up market bazaar where you will find market style stalls offering crafts and art from all regions of Thailand. 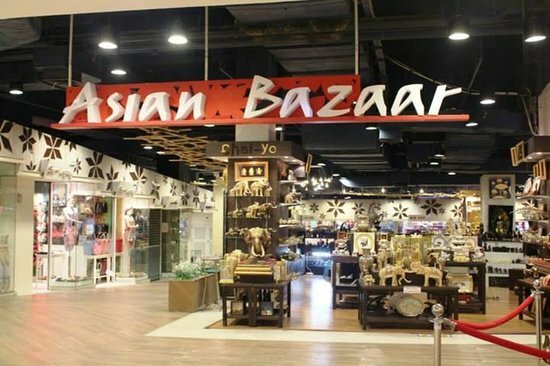 We use the words bazaar and market stalls lightly, don’t be confused we do not mean the same type you see lining beach road and peddling cheap mass produced items. No this really is an upmarket bazaar and the crafts here are usually of high standard and hand crafted. At the front (the beach road entrance) Central festival Pattaya beach boasts a mini tropical oasis, of lush green plants, waterfalls and ponds, all with an amazing views across to the beach and beyond into the bay. This has become a sort of husband day care center and here you will find many a husband sitting reading their phones or tablets and enjoying a drink form one of the outlets. It’s a great environment for them to waste away the time whilst their wives and daughters spend the hard earn cash inside. We’ve made some great friends by sitting out there. The top level is where you will find Pattaya’s largest multiplex cinema, which shows new blockbuster Hollywood and Asian movies. Languages are offered in both English and Thai. During the early evening this is a favourite hangout of teenage locals, just like any other city I suppose. This also houses the bowling alley and arcade machines. The shopping mall also hosts regular events to try and entice more visitors, such as regular fashion and beauty parades, technology showcases and mini cultural shows. There doesn’t seem to be a regular schedule for these, they just happen. There will usually be some sort of event on each week. As with malls and shopping experiences back home bartering is not accepted here (maybe a little in the basement bazaar) and prices in the big retailers are fixed. Don’t even try as the staff do not generally have the authority to discount. Central festival Pattaya beach is located along beach and second road, adjacent to soi 9. The mall is easily reached by either a gentle stroll along beach road or second road. By the main baht bus routes which runs a circle around beach and second roads. The mall is open daily from 11:00 until 23:00, busiest times will be mid afternoon to early evening when the heat outside is at its peak. Overall Central festival Pattaya beach is our favorite mall, and is a great way to spend an afternoon escaping the sun, or for one of the days when the tropical rains come. Lined with high end designer boutiques and retailers it is by far the best place for a little retail therapy. Prices are similar to that of western cities but the quality is far beyond anything you will find at market or elsewhere in Pattaya.